Siding Contractors Peachtree City: What Color to Choose For Siding? You want to love your home, inside and out. You finally have the inside the way you’ve dreamed of, the perfect open kitchen, everyone likes the shade of green paint in the living room, and you went with dark hardwood floors in the dining room. Now, it’s time for the outside of the house! Landscaping, shutters, siding, but what color should you choose for the siding? You want it all to be cohesive, warm, and most importantly, increase the value of your home! 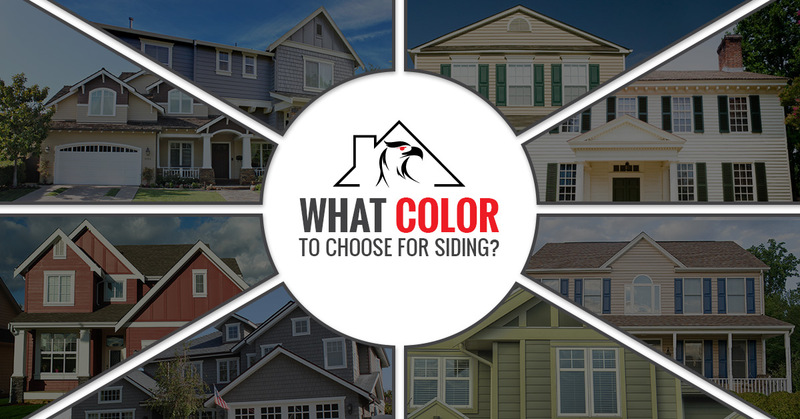 Ask yourself some questions to help you decide which color, and then contact Falcon Exteriors for professional siding contractors. 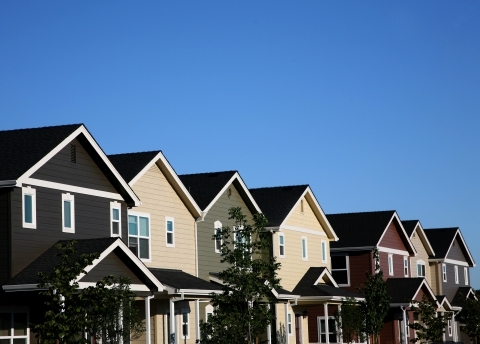 Take some time to wander around your neighborhood and pay attention to the colors of the houses’ siding. Which ones do you love? What colors do you hate? Look at how the homes are styled; which ones are similar to yours? You want your home to stand out, but don’t be the house with bright pink siding when your neighbors’ houses are all shades of white. What’s the Architecture of Your Home? If you have traditional architecture, it might be ok to play it safe with a shade of white. You can still add accents that will add a more modern flair to your home, but you may not want to turn a traditional home upside down with nontraditional siding colors. Other homes styles, such as cottages, allow more freedom of choice when it comes to siding color. 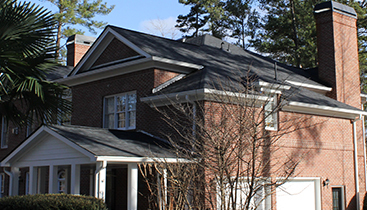 Taking into consideration the color of your roof can greatly impact the color of the siding. Siding and the roof can last up to 20 years, so be sure to make the colors of both look good together. If the roof material is dark, maybe choose a lighter color for the siding. With a more neutral roof, there are greater options for siding because all colors will go well with a neutral roof. What Landscaping Style Are you Planning? 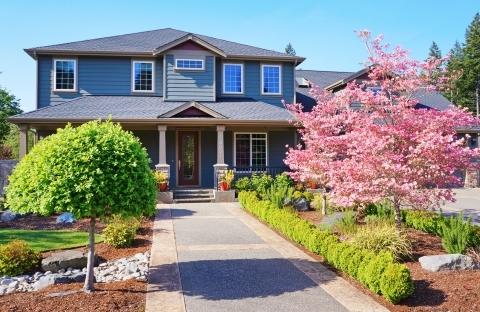 While you’re driving around the neighborhood, take note of landscaping as well. If there is a lot going on in the yard, keep it simple on the house. If there are trees that have bright colored leaves, think about how the colors will complement each other. Whatever color you choose for your siding, a general rule of thumb is to keep it simple. The color is the first thing a homebuyer will notice; if they don’t like the color, it is expensive to redo, which could turn them away. Work together with your siding contractor to decide what is best for your home. 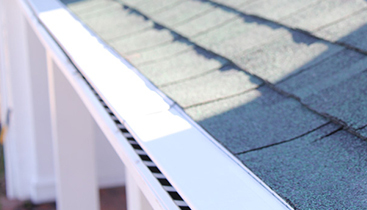 With years of experience, Falcon Exteriors can help. 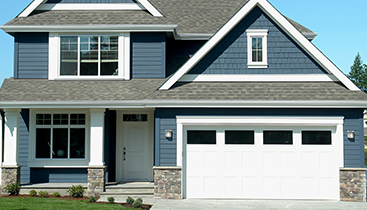 Trust us to install quality siding that will protect your home for years to come.